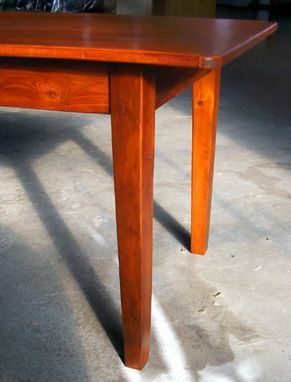 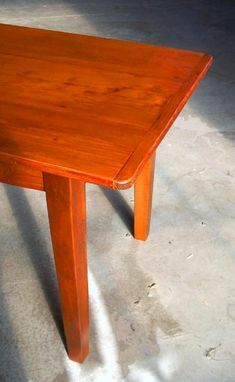 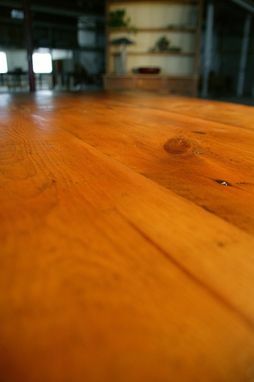 Smooth Grain Farmhouse Style Reclaimed Barn Wood Pine Dining Room Table, shown with Fruit Wood Finish & Straight Legs. 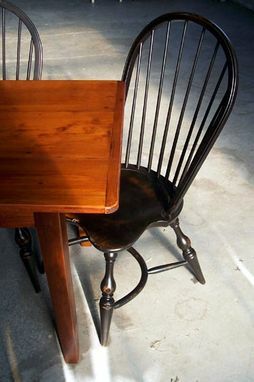 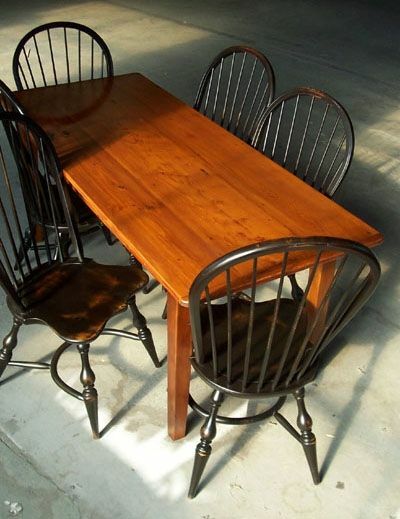 5ft-12ft dining room tables Available Shown with Black English Windsor chairs. 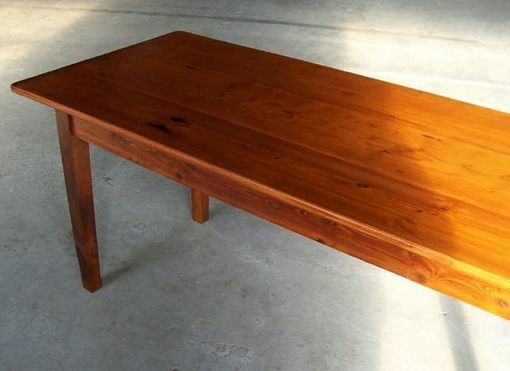 Dimensions: 84" x 38" x 30"